A parliamentary committee on Friday instructed the government to prohibit Ncell – Nepal’s most profitable mobile operator – from expanding its business unless the company clears its tax dues. The Finance Committee of Parliament instructed the Ministry of Industry (MoI) and the Ministry of Information and Communications (MoIC) to withhold approval of Ncell’s new business plans, stating that the company had not paid billions of rupees in Capital Gains Tax (CGT). Ncell, previously owned by Telia Sonera (a telecommunications provider in the Nordic and Baltic countries, now known as Telia Company), was bought by Malaysian company Axiata in December 2015. In what was described as Nepal’s biggest corporate deal ever, Axiata bought 80 per cent shares in Ncell at an enterprise value of Rs 136.40 billion. As per Nepal’s tax laws, Ncell is required to pay around Rs 36 billion to the government. But it paid only Rs 9.96 billion in May amidst accusations that the company was trying to evade tax by using loopholes in Nepal’s laws. 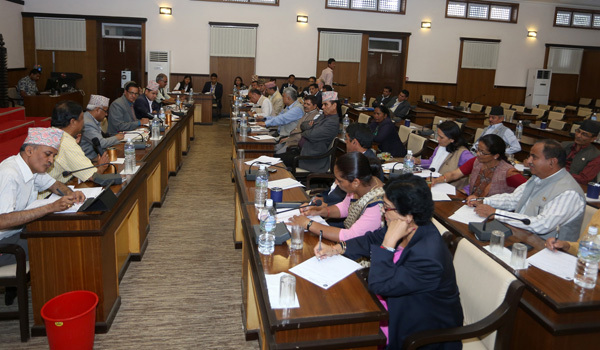 On Friday, Perkins told lawmakers and top bureaucrats that Ncell has complied with all tax obligations. He argued that CGT is to be collected from the seller (Telia Sonera), and not from the buyer. But the parliamentary committee concluded that Ncell must clear its CGT dues as it is registered in Nepal, its investment is in Nepal and it makes profits by providing services to people living in Nepal.